The Circleville Vocal Music Boosters was established in August, 2013, to support the vocal music program at Circleville High School through parent participation in cooperation with the Choir Director. Our goal is to encourage active participation by parents and students to strengthen and grow the music program. The Boosters also engage in fund raising activities for the support of the program. 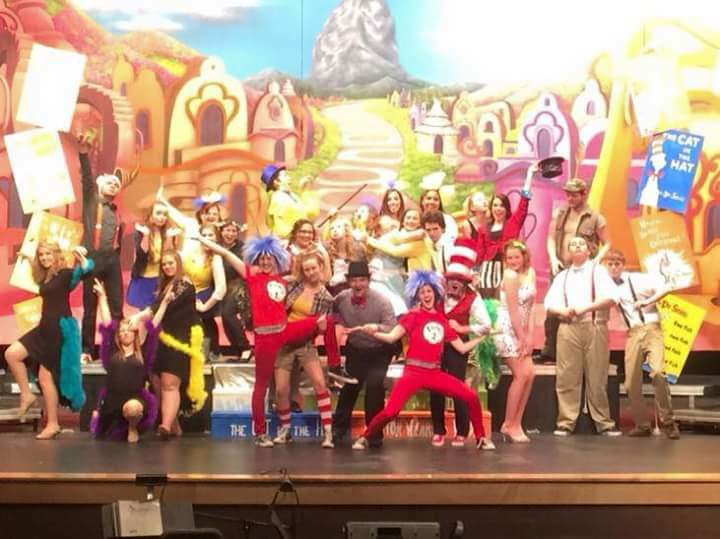 Photo: Seussical the Musical cast members, 2015.